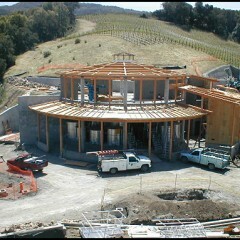 From the building design to the wine itself, The Bryant Family Winery is unique. LeDuc & Dexter Plumbing was able to contribute its expertise in plumbing, heating, and cooling systems to this ultimately beautiful and challenging building. 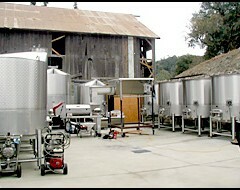 The winery is located in the Napa Valley, near Lake Hennessey. Tony Watson was the superintendent for James Nolan Construction, overseeing the job site. 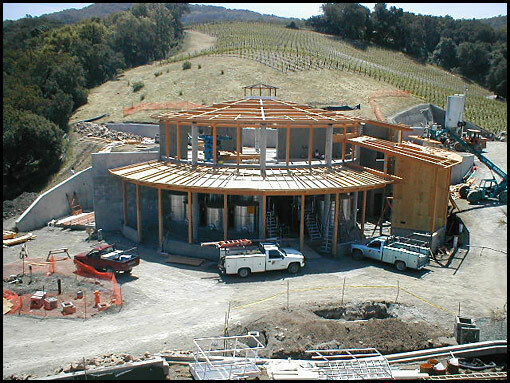 Zeeb described the plumbing contract at Bryant Family Winery as, “straightforward”, but added that the construction as a whole was rather complex. The winery building is adjacent to a mined cave that serves as the barrel storage area—said Keith Burnham, “The cave will give us a good temperature for the wine”. The system that LeDuc & Dexter Plumbing installed for heating and cooling the winery structure consists of chilled or heated water that runs through a coil system and is distributed by electric fans. LeDuc & Dexter Plumbing also installed all the process piping, cooling lines, gas, and compressed air lines for the winery. Helen Turley, Bryant Family Winery’s highly regarded winemaker, makes only 2,500 cases of Estate Cabernet Sauvignon per year. LeDuc & Dexter Plumbing was proud to work with James Nolan Construction on another one-of-a-kind winery, Nickel & Nickel in Oakville. 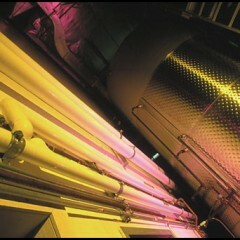 Visit Bryant Family Winery’s website. LeDuc & Dexter Plumbing have the experience necessary to take on any project—no matter the scale—as qualified plumbing contractors in the North Bay. If you’re interested in our services, give us a call at (707) 575-1500 or fill out the form below. We look forward to serving you.